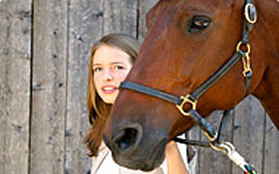 Rookie, Joshua Knight won the adult championship, while veteran youth competitor, Cat Zimmerman, added another championship title to her name. 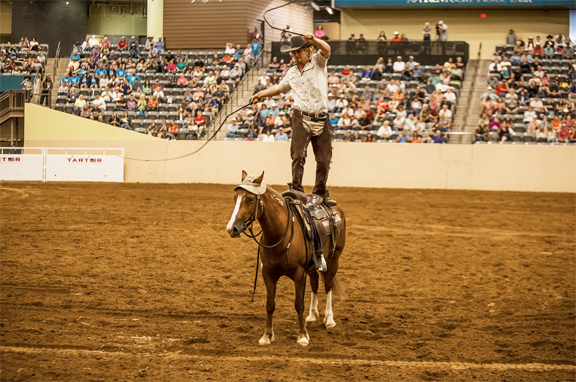 On June 21, 2018, adult and youth competitors traveled to the Kentucky Horse Park in Lexington, Kentucky, for the chance to win the championship title at the Extreme Mustang Makeover. 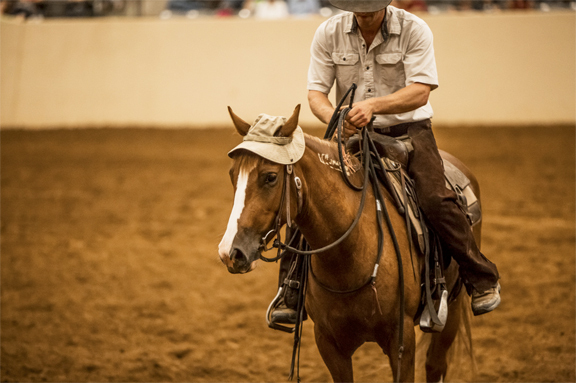 With approximately 100 days, trainers and Mustangs work on bonding, gentling and natural horsemanship methods to showcase their Mustangs’ abilities. The Mustangs that competed in the Extreme Mustang Makeover for adults were wild mares and geldings 4-7 years old that had been living in Bureau of Land Management (BLM) off-range corrals. 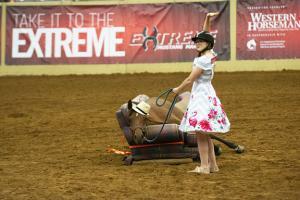 Youth trainers worked with yearling Mustangs for the competition. All trainers are randomly paired with a mustang. At the competition, the horse-and-rider duos compete in a handling and conditioning class, a maneuvers class and a trail class. The Top 10 adult competitors then compete in a Finals performance consisting of compulsory maneuvers and freestyle. Although this was his first Mustang competition, Joshua Knight proved that he had what it took to work with and train a Mustang as he and Bindi took home the 2018 Extreme Mustang Makeover Championship, the Fan Favorite award, and the Rookie award. The duo consistently stayed in the top of the competition throughout the event, making their way into the Top 10 Freestyle Finals. Knight and Bindi captured the crowd’s attention with their “Australian Zookeeper” freestyle performance, in which Knight dressed up as Steve Irwin and proceeded to do tricks aboard Bindi, and also wrangled a blowup crocodile. Knight said he learned some valuable things while training his first Mustang, and he hopes to continue to build off his knowledge while working with his Mustang he has for the Extreme Mustang Makeover in Fort Worth, Texas. He also had some great advice for people interested in working with Mustangs. Knight garnered a $4,000 check, A Cut Above belt buckle, and a Resistol Hat certificate for his championship. He also received $2,500, thanks to Weisberg Stables, and two A Cut Above belt buckles for his Fan Favorite award as well as for his Rookie award. 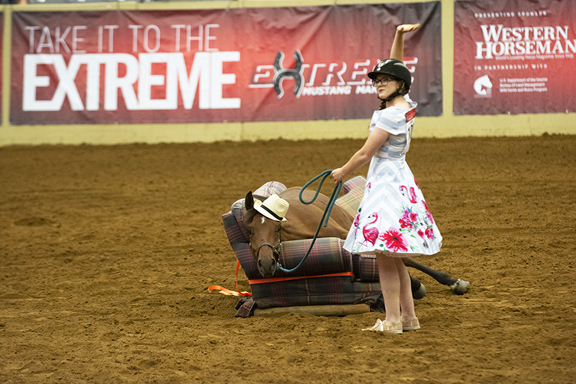 Cat Zimmerman continues to add more championships to her name as she and her Mustang Beau earned the 2018 Youth Extreme Mustang Makeover Championship. Despite Zimmerman’s minor fumble in the handling and conditioning class, she was able to make it up by placing first in the youth trail class. Then during her freestyle performance, she wowed the crowd with her superwoman routine securing the championship. “I was really nervous. I get stressed out over the youth because you only have 3 minutes and 30 seconds to freestyle and I already messed up in the handling and conditioning because I forgot to pick up his feet, so I felt like I failed him because I didn’t get to showcase him to his full ability,” said Zimmerman. “Even going into trail class, I was nervous because I wanted to show people how amazing he was. As for Beau, he has a forever home with Zimmerman and she plans on doing a liberty team with him and her 2016 Extreme Mustang Makeover horse, Bella, when she performs at fairs and expos to promote mustangs. “The first time that I went to the pens for pick-up back in February, I looked at all the horses to get an idea about the draws and I saw him, and he looked exactly like my mare from 2016. I kind of had a gut feeling that he was really special, and I really wanted him,” said Zimmerman. Zimmerman took home a $1,000 check, A Cut Above belt buckle, and a Resistol Hat certificate. At the conclusion of the event, all the adult horses were available for purchase via public competitive bid. 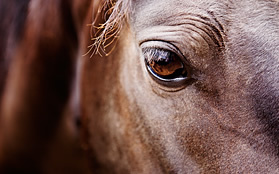 All 46 adult horses were placed into homes for an average price of $1,500, with the highest selling Mustang going for $5,500. Complete event and sale results can be viewed at extrememustangmakeover.com. 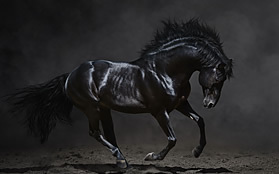 The Extreme Mustang Makeover is produced by the Mustang Heritage Foundation in partnership with the Bureau of Land Management Wild Horse & Burro Program. The Presenting Partner of the Extreme Mustang Makeover is Western Horseman. Corporate event partners are RAM Truck, Resistol, Martin Saddles, A Cut Above, Classic Equine, Equestrian Singles, España Silk, Weisberg Family Foundation, and RIDE TV.